Speaking in front of a live audience can seem like a daunting task in and of itself, right? But there’s more. The submission process is an important gateway that expands on the expertise you have to offer, and the process can require a lot of time and attention to detail. The endgame is booking the gig, of course, but getting there involves a little legwork. The first step in the submission process is simply this—do your research. Starting locally is a great rung on the speaking ladder to position yourself for more opportunities in the future, and you’ll want to get your name out there for networking purposes as well. Are there any organizations you’re involved in that regularly feature speakers? Do you have your eye on any regional industry associations that may be a good fit for you? Aim for your target audience (no pun intended). It’s great to set your sights on larger conferences, but be mindful that they generally look for speakers with a resume of experience. It’s never a bad idea to start small and build up your credentials to reach those long-term speaking goals. 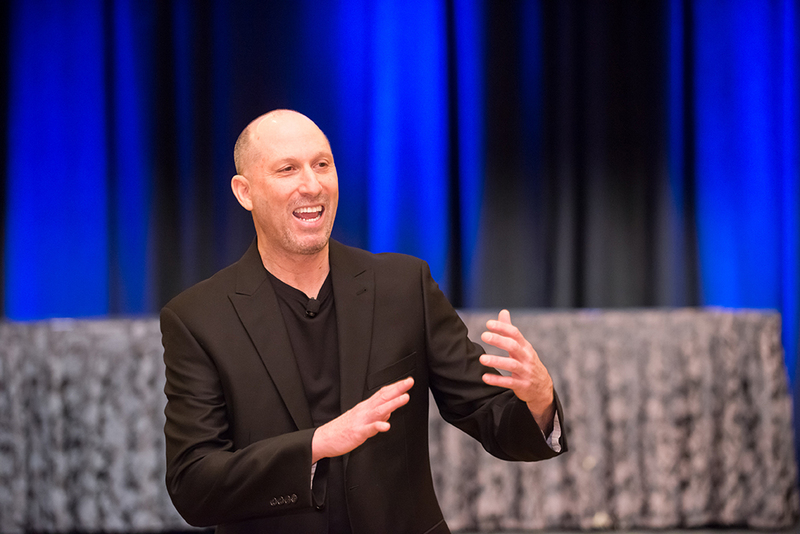 Professional speaker and author Michael Levin presented to owners and executives at Catersource 2018 in Las Vegas. Sit down and make a list of potential topics that you feel strongly about that pertain to your business or your niche. Make sure that you’re knowledgeable enough on your topics to pivot yourself as an expert, and have a little flexibility in those topics to expand if necessary. Once you’ve narrowed down some speaking opportunities, look at the types of subject matter they’re accepting. Rework your topics to fit their parameters and make sure each one is unique. Remember that this will involve some writing to go further in-depth, including descriptions and three to four takeaways that most organizations require for submission. Add in your contact info and references never hurt! 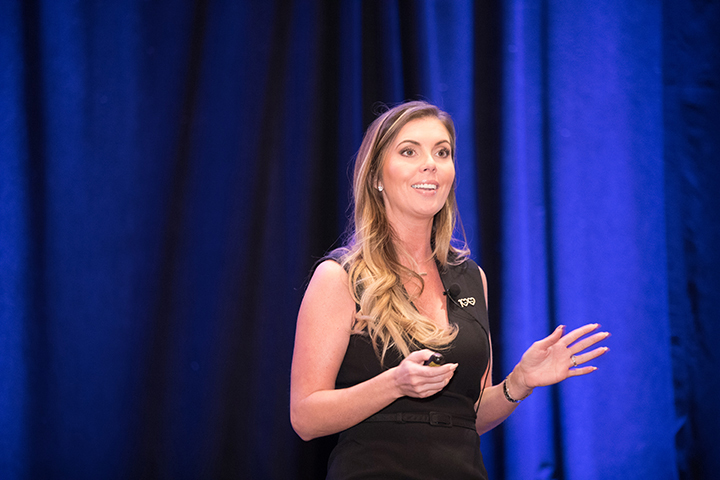 Consultant Kate Patay discussed color and branding at Catersource 2018. So, you’re ready to submit. You have all of your paperwork completed and any additional requirements lined up for the speaking opportunity you’re pursuing. Last-minute things to think about before you send that pitch: are you prepared if they ask for more information? Can you speak confidently on your topic(s)? If they love you and want to have you speak, are you equipped with a bio, headshot, etc.? What’s your desired presentation method? Reaching out with a soft approach will likely give you a better chance in procuring a speaking gig. For example, when you’re ready to contact a chapter/organization/association, start off with asking about any specific parameters they require for submissions. That opens the door for an informational response, and you’ll be able to introduce yourself and discuss which topics you’re interested in speaking on. Above all, take note of deadlines and be prepared. Budget your time and resources to ensure that you’ll be organized ahead of any applicable submission deadlines, and you’re on your way to booking that gig! Our Call for Speakers 2019 is closed, but now comes the fun part—choosing who will be presenting at Catersource 2019 and the Art of Catering Food! Click here for the latest information!